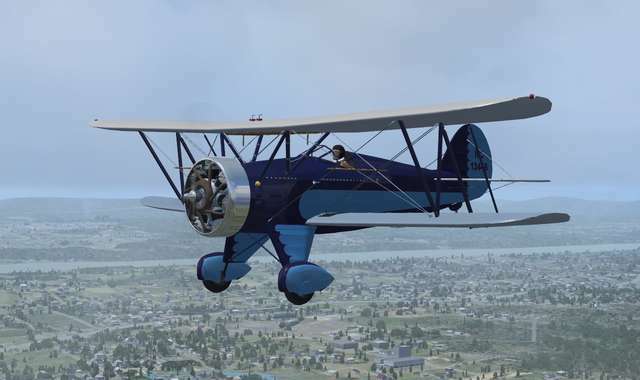 The UBF-2 was the last and the finest example of the WACO F-2 line. 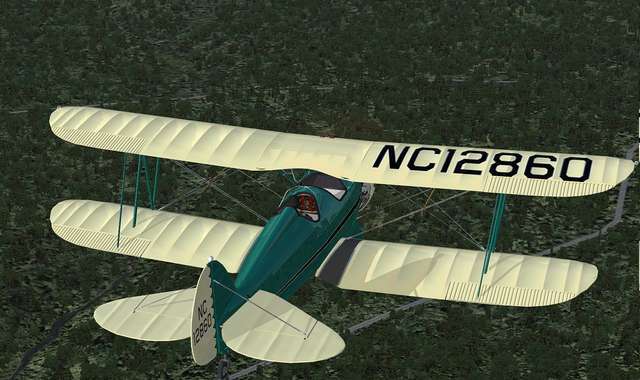 This sturdy biplane was happy working out of small pastures and from any designated airfield with ease. 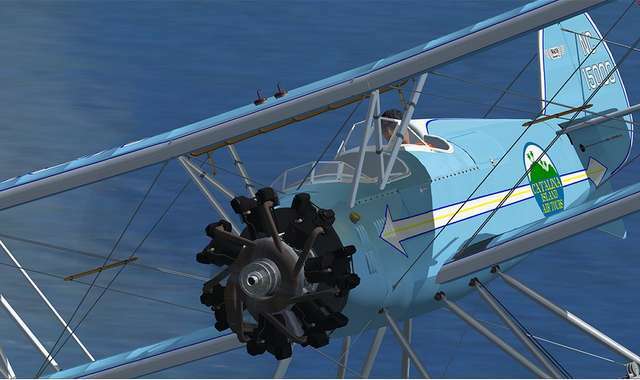 With a hardy and dutiful nature more attuned to handle the everyday chores of the flying-service operator, there was still a playful streak in its nature that appealed to those who flew only for the sport of it. 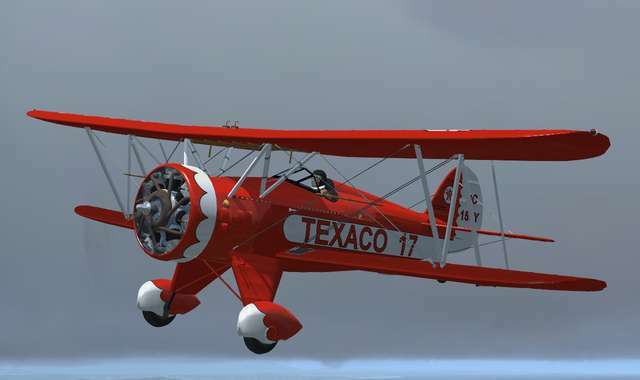 Waco Aircraft named the UBF-2 the 'Tourist'. 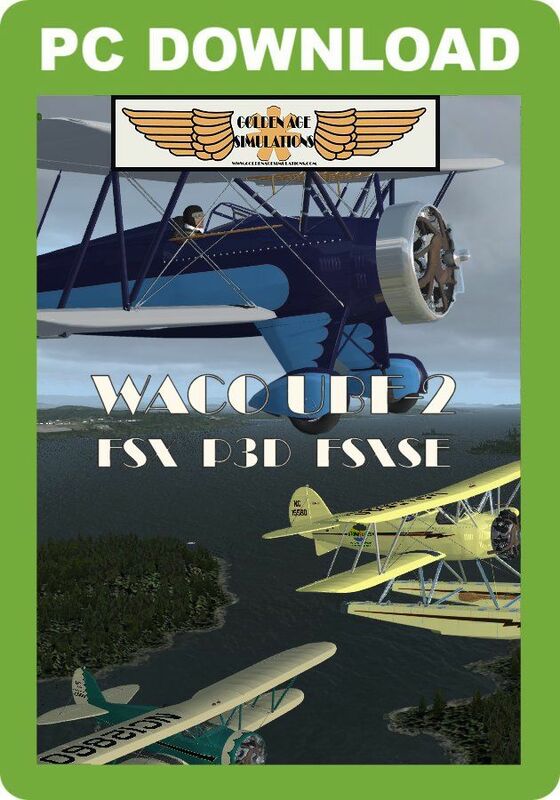 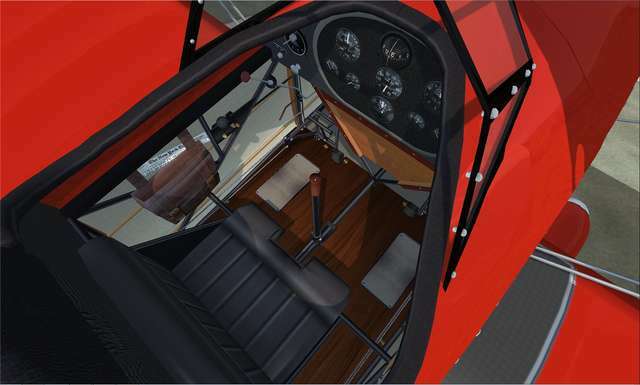 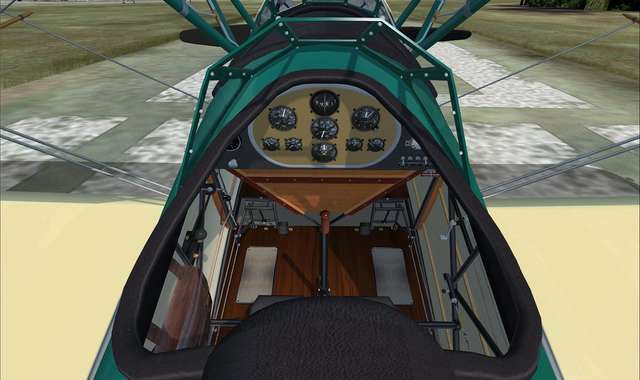 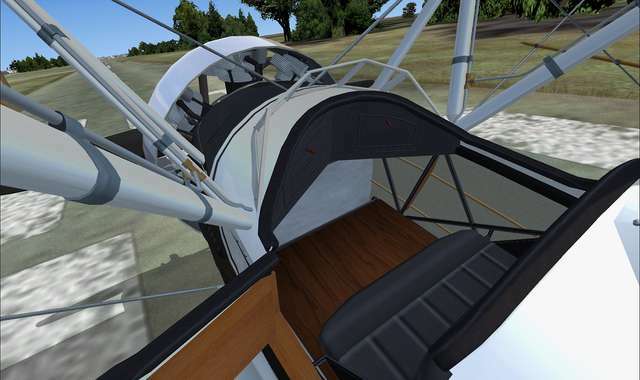 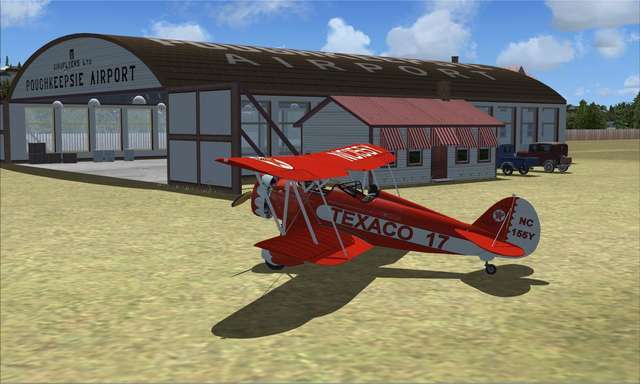 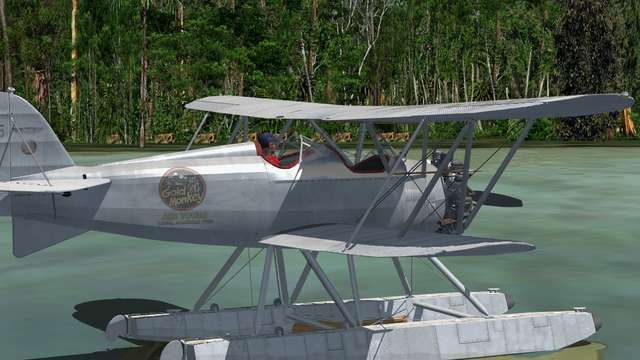 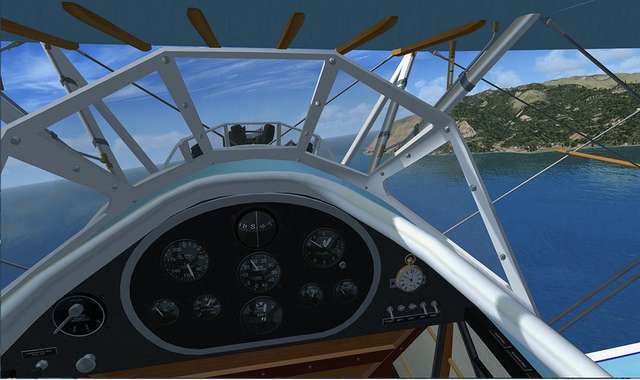 Golden Age Simulations' WACO UBF-2 Package is designed for the pure fun of flight simulation. 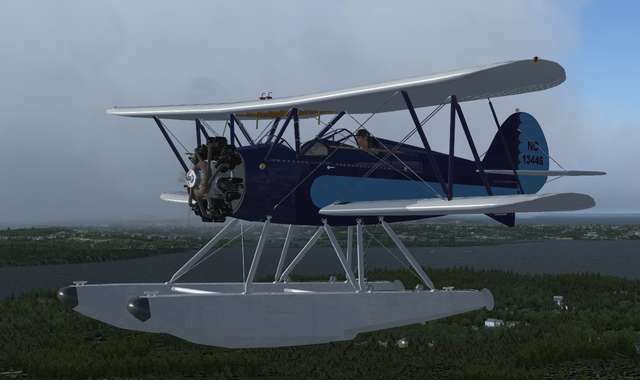 With two land and one float plane versions, this package will appeal to the Golden Age of Flight enthusiast wishing to experience the ultimate in open cockpit flying. 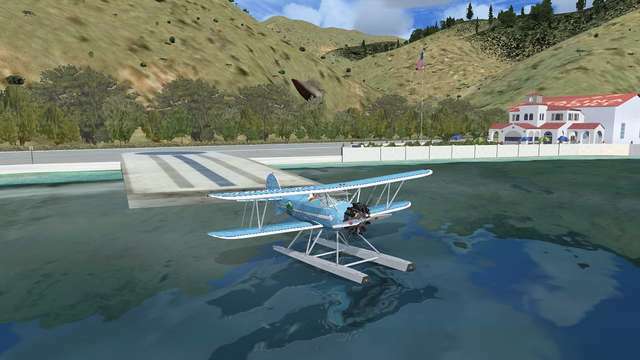 To further enhance the experience, three Golden Age scenery add-ons are also included, representing 1930s airports supporting land and float plane operations. 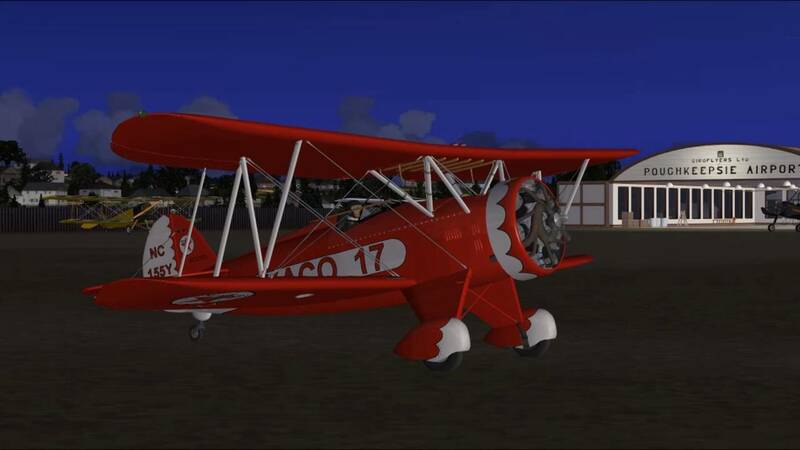 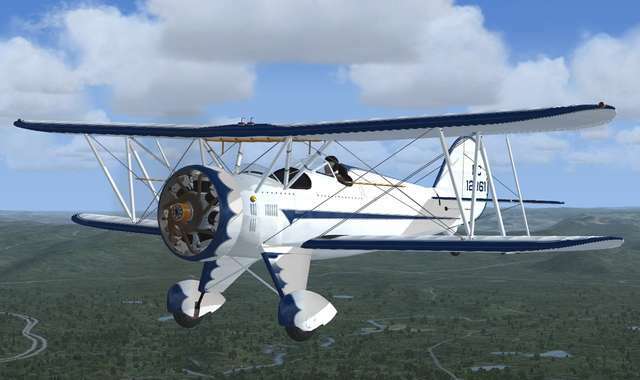 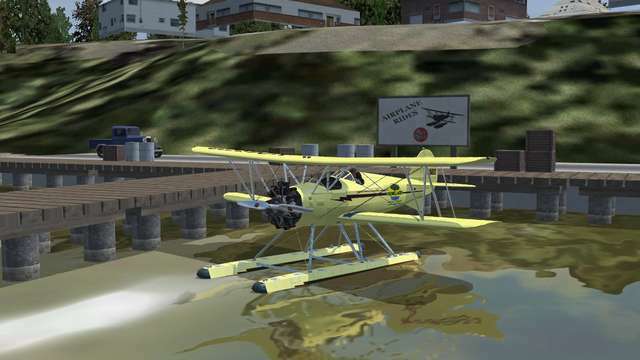 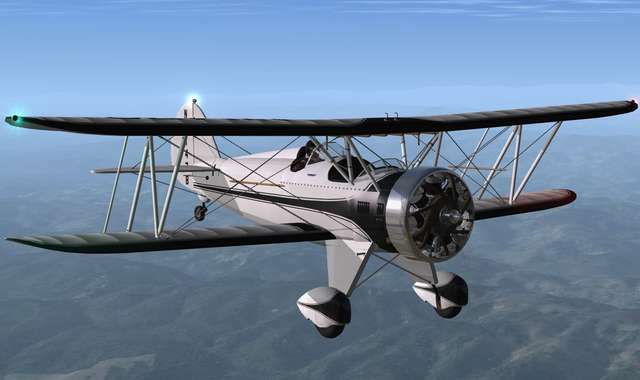 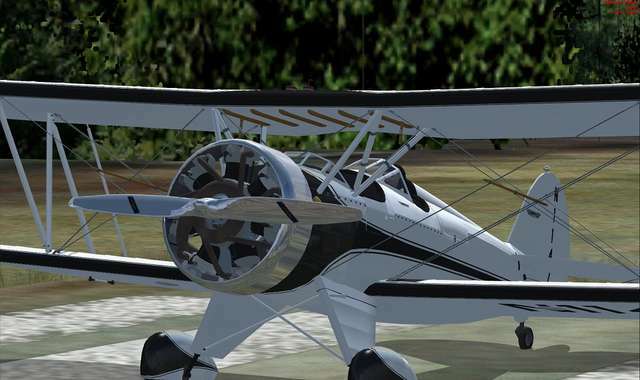 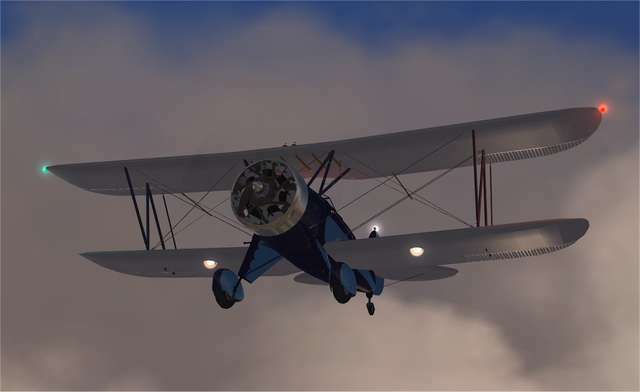 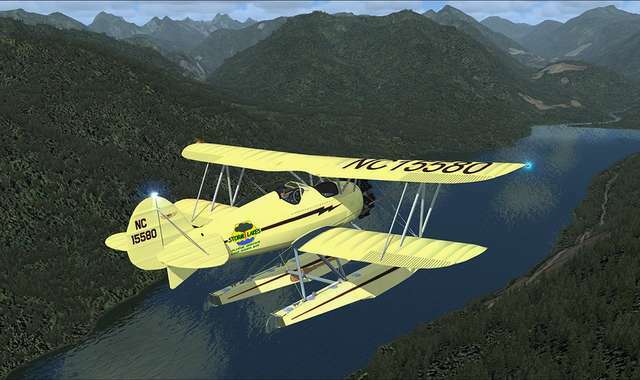 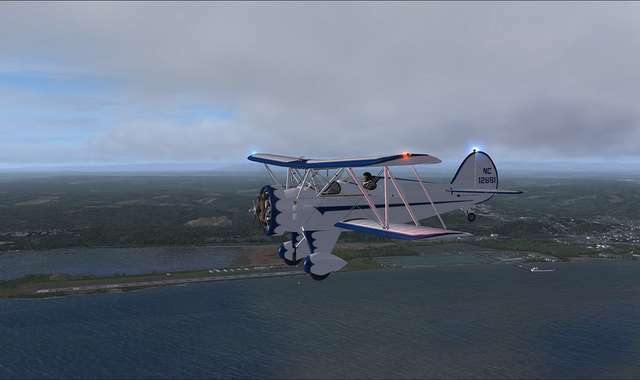 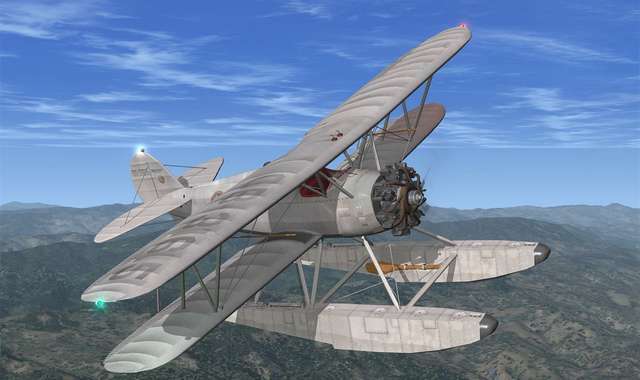 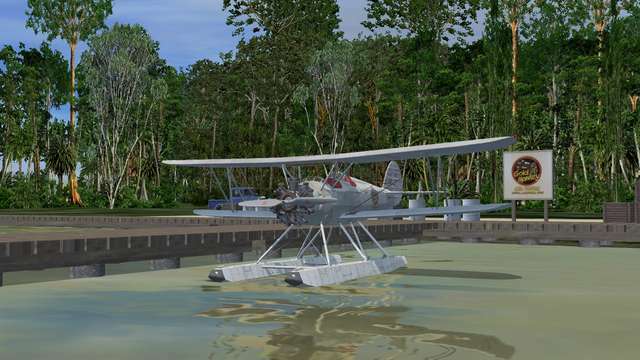 This classic FSX/P3D biplane from Golden Age Simulations comes in two land variants and one float plane model, with eight HD liveries, fully animated VC with smooth 3D gauges, high fidelity sound files, animated pilots and precision flight dynamics. 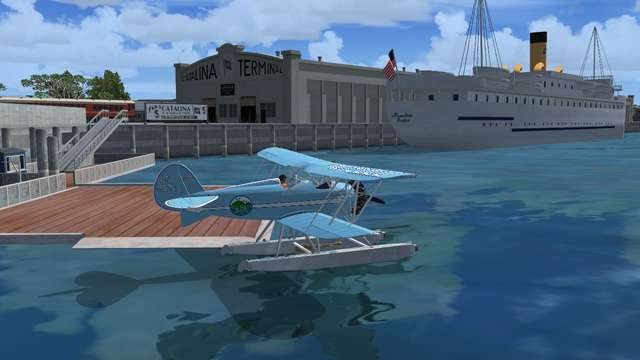 Also included are three bonus Golden Age Simulations scenery add-ons of 1930s airports to use for your land and float plane flights.